This genus is accepted, and its native range is Temp. & Subtropical to Tropical Mountains. Leaves alternate or opposite or fasciculate, petiolate; lamina penninerved, margin often toothed. Inflorescence an axillary fascicle (in our area), less often flowers solitary. Petals 4–5 or absent, cucullate or flat. Disk thin, lining the receptacle. Ovary superior, 2–4-locular; ovules 1 per loculus; style simple or 2–3(4)-fid. Fruit obovoid, drupaceous with a fleshy or somewhat woody endocarp. Fruit a drupe with 3 (or 2 but not in East Africa) or rarely 4 free 1-seeded stones. Rhamnus biglandulosa Sessé & Moc. Rhamnus disperma Ehrenb. ex Boiss. Rhamnus imeretina Booth ex G.Kirchn. 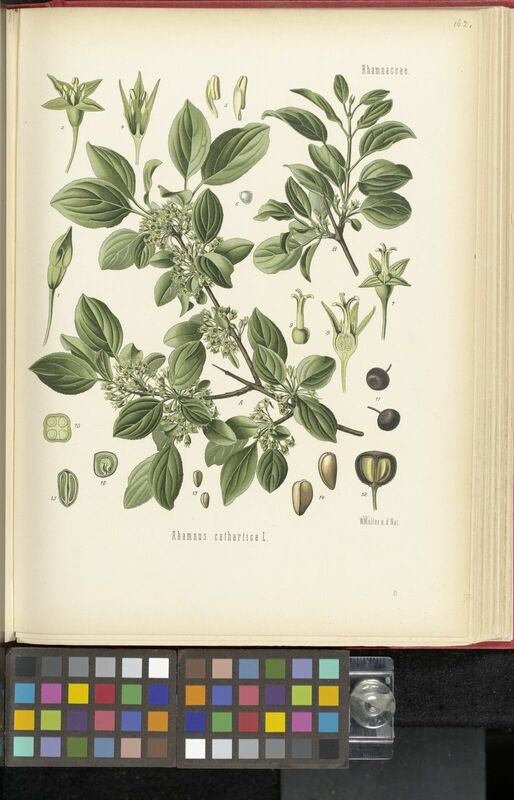 Rhamnus × intermedia Steud. & Hochst. 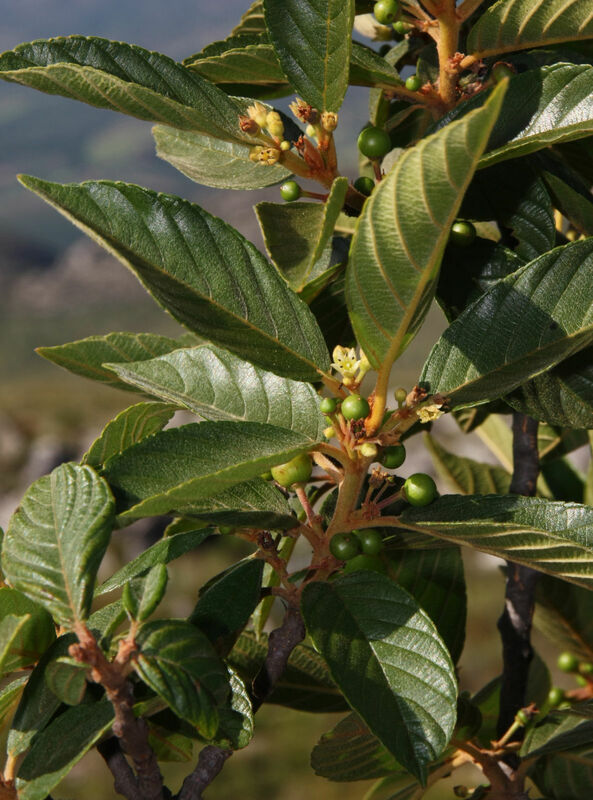 Rhamnus kurdica Boiss. & Hohen. Rhamnus pichleri C.K.Schneid. & Bornm. 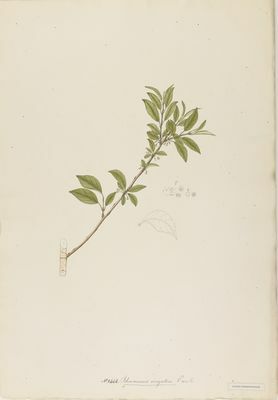 Rhamnus rosei M.C.Johnst. & L.A.Johnst. 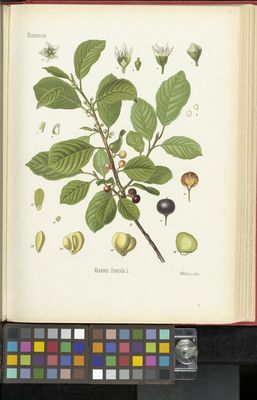 Rhamnus serrata Humb. & Bonpl. ex Schult. 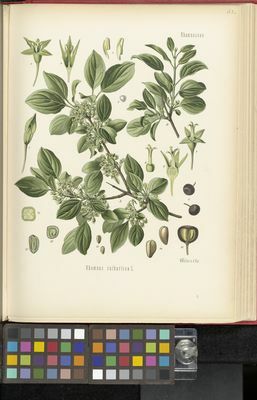 Rhamnus spathulifolia Fisch. & C.A.Mey. 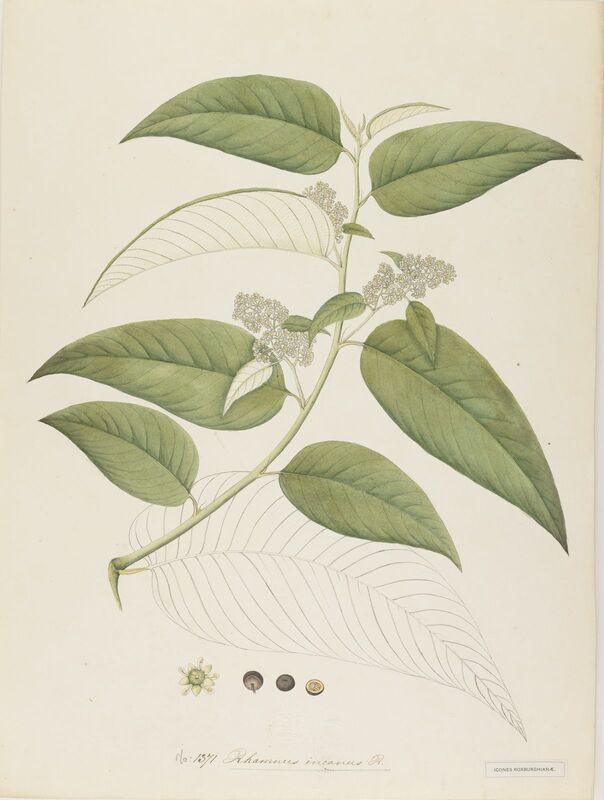 Rhamnus taquetii (H.Lév. & Vaniot) H.Lév. 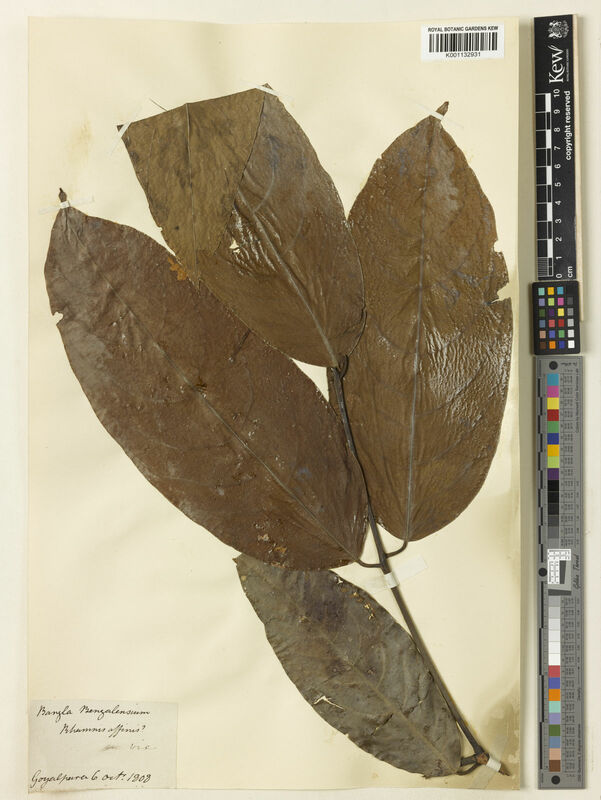 Rhamnus wightii Wight & Arn. Suessenguth in E. & P. Pflanzenfam. 20D: 59 (1953). Gen. Pl. ed. 5: 89 (1754).